You are here: Home / Featured Daily Posts / Send Us Your New Beginning! We all love to celebrate the ‘new beginnings’ of all the ACC dogs & cats we helped save, while also giving the special “two-leggeds” who helped them out a much-needed pat on the back! Please get your doggie and kittie photos in asap! Email them to [email protected], or post them on our wall. If you post linked photos/videos please make sure they are not private so everyone can see them! We want to see some CUTE photos and hear your forever or foster dog & cat’s story, and how they have impacted your life. We know new beginnings aren’t always easy, and we would especially love to hear stories of those that needed some extra guidance and received it from dedicated humans. Look forward to seeing out pups and kitties outside of the shelter! 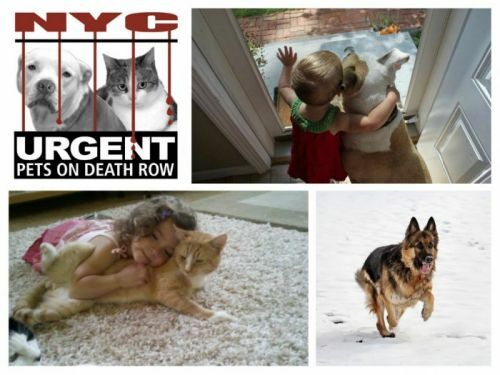 Next Post: Pledge & Help Rescues Save Lives!